Ten new spots. Ten new experiences. Laid-back, contemporary Armenian; rustic, pasta-averse Italian; ambitious, bold Japanese; vegan pizza – besides making a very good impression, 2017’s best new restaurants don’t have too much in common. And that’s a good thing. 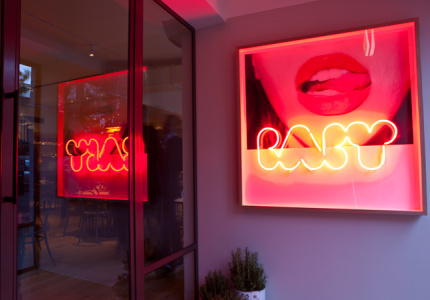 In no particular order, here are our 10 favourite restaurant openings of the year so far. 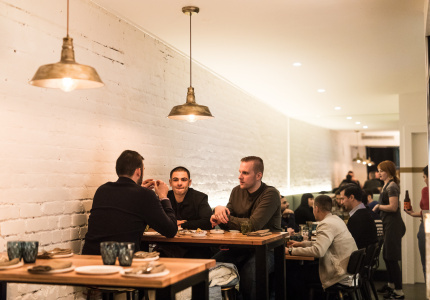 Aret and Sasoon Arzadian opened contemporary Armenian restaurant Shukah in May. The bright, 52-seat interior at the Windsor restaurant is fine – it’s the food that makes this place one of this year’s best openings. Modern iterations of Armenian cuisine, outside of the homeland, are often literal melting pots of influences due to the spread of the diaspora, which left the country en masse after World War One. 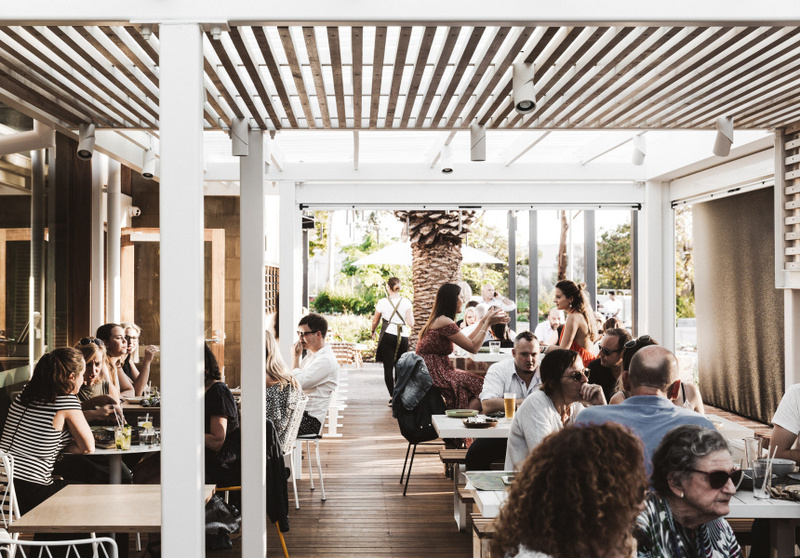 Chef Garen Maskal (also Sezar, The Black Toro, and formerly of Ezard) has gathered flavours from all over Europe and the Middle East to create rustic, peasant-style dishes that seem somehow new and recognisable at the same time. The standout hummus is served with a volcanic oozing of sweet and nutty brown butter. Manti dumplings are classic Armenian – Maskal’s toasty, crispy parcels are like little wontons stuffed with spiced lamb. The tender charred octopus, served with pistachio and olive salsa and a dollop of labne, is a must. The taste lingers with a question mark on the tip of your tongue. Greek? Turkish? Armenian? Who cares. 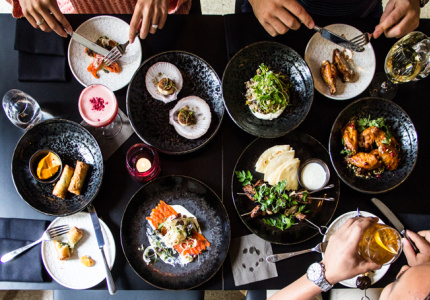 Familiar dishes at David Thompson’s Crown restaurant (green curry, larp and pad thai) take suburban Thai and turn it up to 11 – these dishes are brighter, deeper and more aromatic. Sometimes they’re spicier than other restaurants would dare. Dried prawns, ginger and toasted coconut wrapped in betel leaves don’t fall apart as it might elsewhere. They go down as easily as a spoonful of yoghurt. For that to happen, chefs have to cut fiddly holes and latches into the leaves to keep them together. It must take hours. 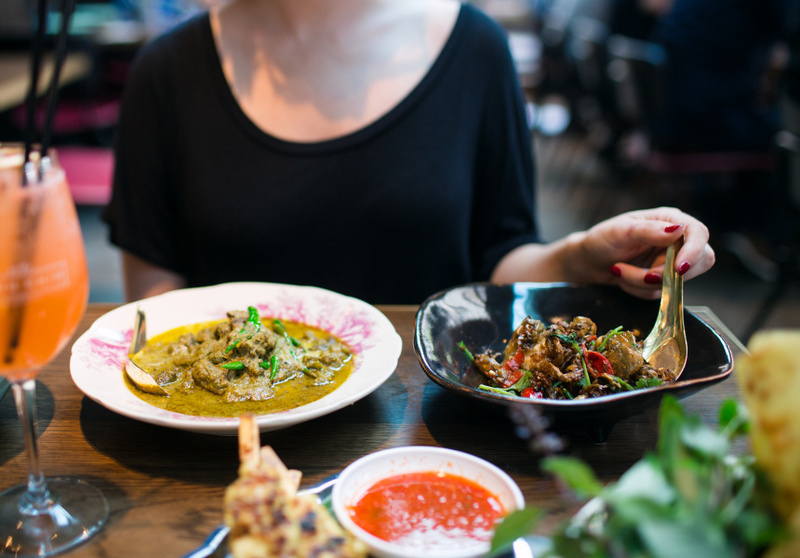 Long Chim’s key ingredients come direct from the motherland, including curry pastes, palm sugar, tamarind, turmeric, noodles, fish sauce, chillies and limes. But the restaurant is about more than just good ingredients. It’s also a place to try sour orange curry made with ling fish, and other Thai specialties not yet popular in Australia. We’d go back for Chiang Mai larp of chicken every week, and mashed prawn curry, and charred rice noodles with pork are also standouts. The redbrick building on the corner of Glenhuntly Road and Riddell Parade was once home to The Caulfield Rifle Club. Then it sat empty for about 20 years before being transformed into this restaurant and bar. This place is fun. Matt Dunbar, former head chef at Longrain, is in the kitchen, and his menu is French-Indochine – Thai, Vietnamese and other South East Asian cuisines with a French influence. Dishes are moreish and packed with flavour, showcasing that winning mix of sweet, spicy and salty. The Spring Bay mussel bouillabaisse is infused with lemongrass and served with papaya and kohlrabi slaw; golden-fried ocean trout comes wrapped in banana leaf; and a Flintstone-sized chargrilled Cape Grim short rib comes in a pungent, delicious basil broth. Don’t miss the cocktails either, which are also influenced by South East Asia. Though it’s not technically Margarita weather yet, sip on this one with kaffir lime leaves and galangal and pretend you’re somewhere warmer. 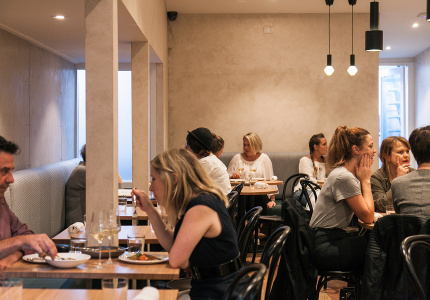 Not to be confused with the daytime cafe, or tuck shop, which are part of the same venue, the Brasserie at Paul Wilson’s sprawling new venue at Prahran Market is the jewel in Wilson & Market’s crown. Wilson (formerly at the Botanical) is fastidious about where his produce and proteins come from; fruit and veg are from a biodynamic farm on the Mornington Peninsula, seafood is sustainably caught, and heritage-breed Sommerlad chicken is from Milking Yard Farm. Wilson has installed a rotisserie bar that cooks chooks and dry-aged meats over charcoal and wood. At the moment it’s using Malee oak, ironbark, hickory, apple and chestnut to cook chickens the size of small turkeys. The chicken is sweet and tender, and you can honestly taste the freshness – they’re that chicken-y. The smoked Petuna ocean trout is also a highlight, served with devilled egg. So is slow-roasted cauliflower with coconut yoghurt and spices. Don’t leave without visiting the bathrooms – designed by Kate Challis interiors, they’re lit up in sci-fi shades of green (male) and pink (female), with photographs of precious stones on the walls. 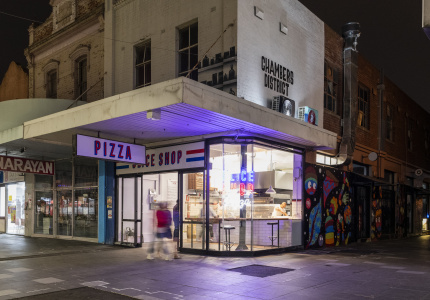 Michael Craig’s wood-fired pizza joint in Collingwood uses ingredients from around Melbourne, Italy and the US – and they’re all vegan. As soon as you step inside the restaurant, you’ll notice the hulking pizza oven up front, which was imported in pieces from Italy and assembled here. Craig, a vegetarian, spent a decade tasting various vegan meats and cheeses, and is only serving those he likes to eat. The regularly packed-out restaurant suggests diners like his choices. “Meat” on a slice of pepperoni pizza is made from organic gluten and tofu with the same spices and herbs that normally go into pepperoni sausages. The plant-centric Supergreen is topped with spinach and kale pesto, zucchini, broccolini and pepitas. The Bianca has a white base, confit garlic, potato, leek, rosemary, mozzarella and vegan parmesan. The parmesan is made with coconut and coconut oil. The mozzarella is mostly a combination of coconut oil and tapioca – it’s perfectly melt-y, and stretchy. New Zealand-born chef Hayden McMillan (formerly of The Roving Marrow) runs this Brunswick East restaurant with wife Dominique Fourie McMillan, and Hannah Green. Green and McMillan used to work together at Neil Perry’s Rosetta and would regularly eat together at The Roving Marrow, where the group concocted their own future diner. 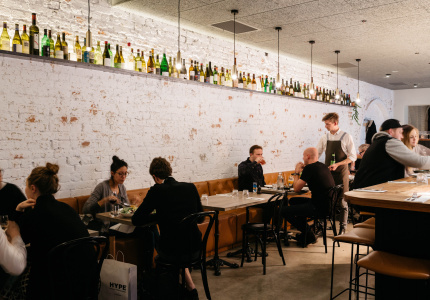 Etta, in Brunswick East, is just the right mix of polish and warmth. 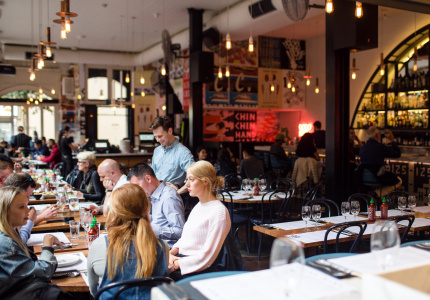 It feels like a special, elevated local, as well as a casual fine diner worth travelling to from other parts of the city. More than half of McMillan’s seasonal menu is vegetarian. 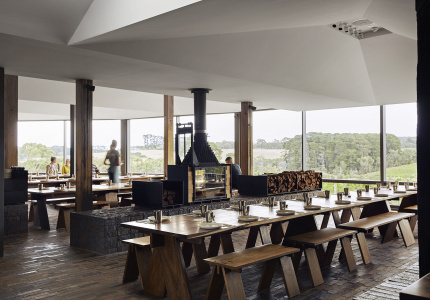 Dishes include tamari- and brown-sugar-roasted buttercup pumpkin served with a dairy-free sunflower cream, and Flinders Island lamb marinated in a cumin and fennel seed dry rub, cooked on a Japanese-style binchotan charcoal grill. We can’t remember having a better crumbed whiting; it has the perfect amount of carb-y crunch and salty capers. And the bread – well. It’s doughy, warm and dense for a start. It’s got to be some of the best in Melbourne. Lathered with the accompanying burnt butter? Unforgettable. 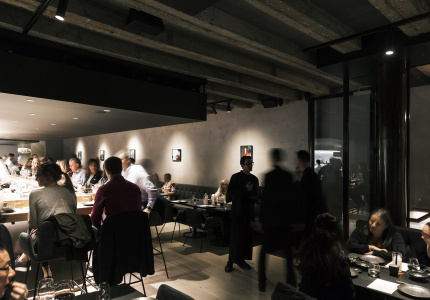 Chris Lucas’s goal at his sleek new Japanese restaurant, Kisume, is to “redefine higher-end dining” in the city. And we haven’t seen many openings this physically large and conceptually ambitious in Melbourne. 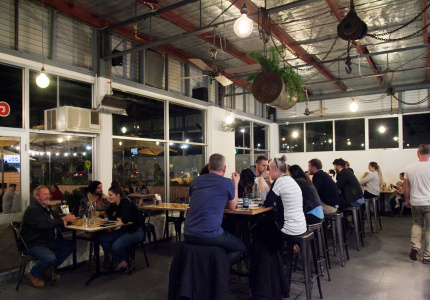 The three-storey CBD venue makes the Lucas Group’s other restaurants seem modest. This is not another Chin Chin, or Baby, or Hawker Hall with neon signage and colourful walls and thumping music. 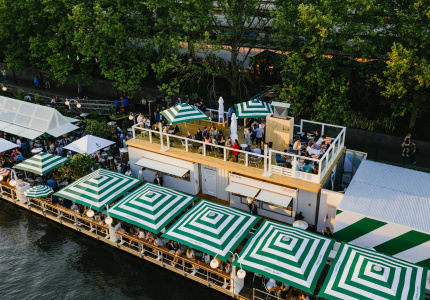 But it’s not totally without its family’s DNA: there are still lines; there are still moreish shareable snacks – such as maple- and soy-glazed Berkshire pork ribs, and prawn and foie gras “potstickers”. It’s perfect for a rambunctious group meal on a Friday night (punctuated by delicious yuzu cocktails). For date night? Go for the omakase (chef’s choice) sushi option, where you can sit at the bar and watch Japanese brothers Yosuke and Shimpei Hatanaka carefully slicing bluefin tuna, salmon, prawns and sea bream from Australia and New Zealand. 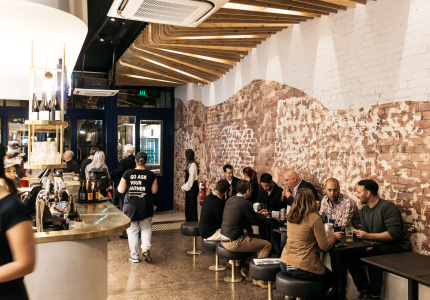 Osteria Ilaria, in the CBD, is Tipo 00’s new, bigger, more refined sibling. 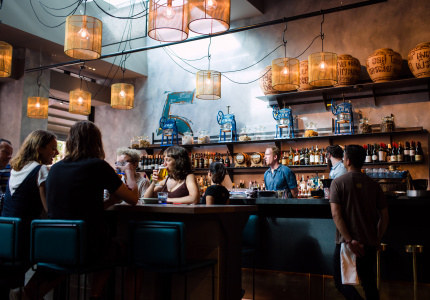 There are bare white-brick walls, historic arches, cognac leather booths and an open kitchen hemmed in by a long bar with some of the best seats in the house. 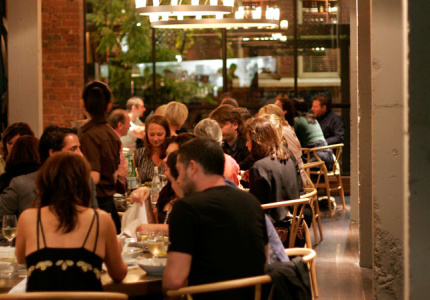 The owners are resolute that the restaurant is not Tipo 2.0. That is, Osteria is not a pasta joint. And while you will find grin-inducing, pillowy nettle gnocchi, and paccheri with crystal prawns, the menu is largely pasta-free. The lamb cutlet with a blood-red spicy peperonata is a standout, but so are the light and golden zucchini flowers; charred rappini served on a bed of creamy corn; corn-fed duck with hazelnuts and radicchio; and a long slice of pecorino cheesecake, served with juicy pine mushrooms and garnished with pretty nasturtium leaves. 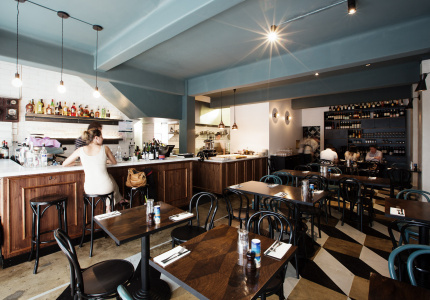 Yes, we know Andrew McConnell’s Fitzroy jewel isn’t new, but the Cutler & Co that reopened in March is not the restaurant that first opened on Gertrude Street many years ago. 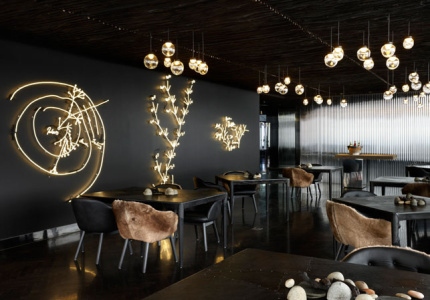 The interior renewal by Iva Foschia has produced a light, airy daytime restaurant that seemingly transforms at night into a luxe, moody dining room and bar. The bronze-tinted front bar is now a destination in its own right, serving dishes you won’t find on the restaurant menu and a new signature fruits de mer platter. But don’t miss the restaurant proper, with a menu featuring smoky, meaty Jerusalem artichoke topped with burnt onion and charred maron so good it will make you laugh. Our advice? Go with the chef’s selection for a special occasion. And turn up hungry – it will make your first bite into the steaming house bread, spread with sweet, house-cultured miso butter, that much better. 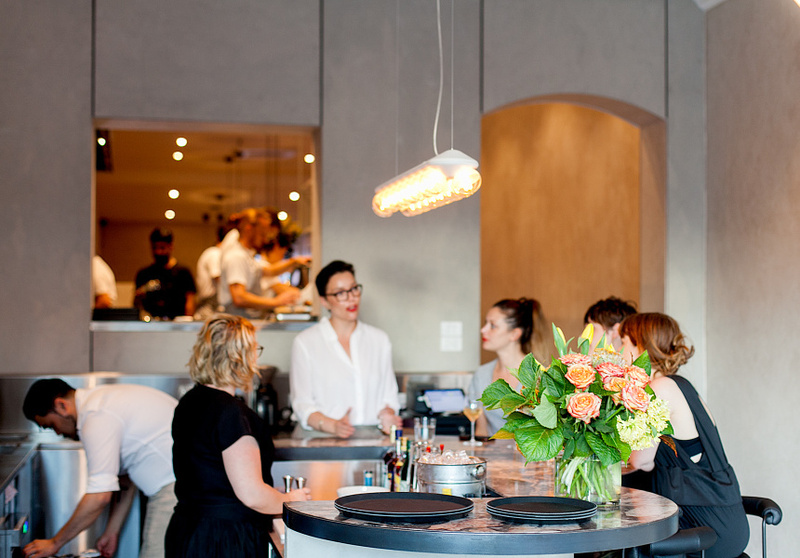 Rocco Esposito and his wife Lisa Pidutti opened this smart, spacious restaurant (and wine bar, cafe and food store) in Collingwood’s backstreets in May. 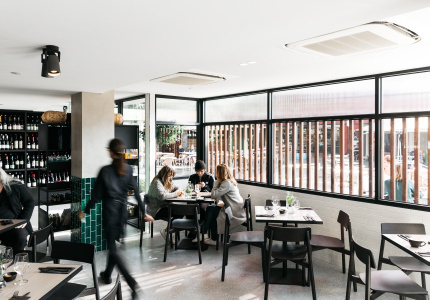 The project is spread across two separate but adjoining areas in a refurbished warehouse, and is modelled on their smaller Beechworth cafe of the same name. 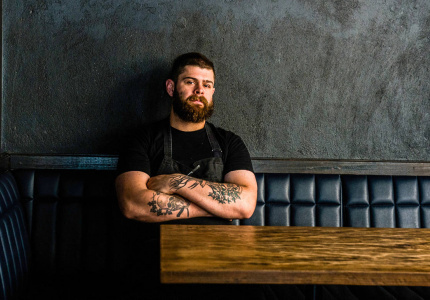 In the kitchen is Tim Newitt – another Beechworth export – serving modern Australian-Italian dishes such as kingfish crudo with pickled fennel, mandarin, radish and olives. And slow-cooked lamb breast with anchovy, rosemary milk and colorful leafy-green rainbow chard. 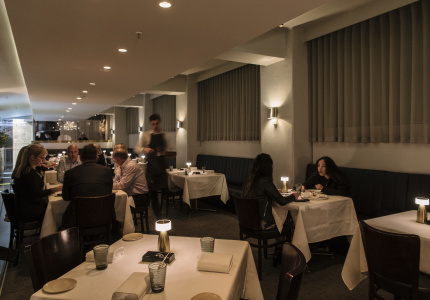 Esposito is a former Vue de Monde sommelier, so you know you’re in good hands with wine list. And he’s made it easy to dissect, grouping drops according to characteristics such as “aromatic” or “round and fleshy” or “spicy and elegant”. This place requires a road trip, but it’s worth it. 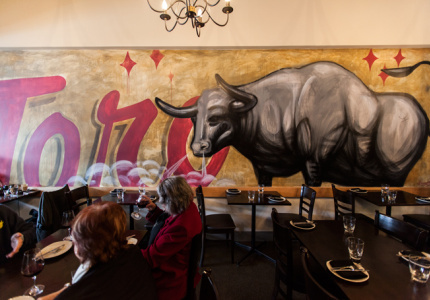 The dining room at Rare Hare, which is located at the vineyard-set Jackalope Hotel, is expansive with clay-brick flooring and a double-sided fireplace. Fire and smoke is on show here in dishes such as charcoal eggplant, chargrilled squid and wood-grilled whole snapper. Chef Guy Stanaway uses different wood chips for different dishes, from red gum to vine clippings. 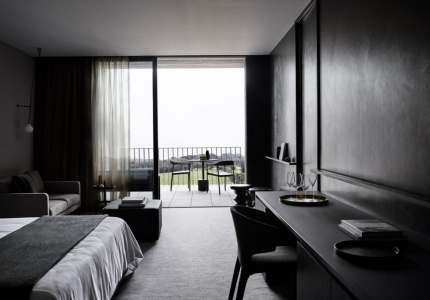 Outside the floor-to-ceiling windows are rolling hills covered in vines, which you can experience on the other side of the glass with a wine in hand, overlooking the infinity pool. Like we said – worth the trip. 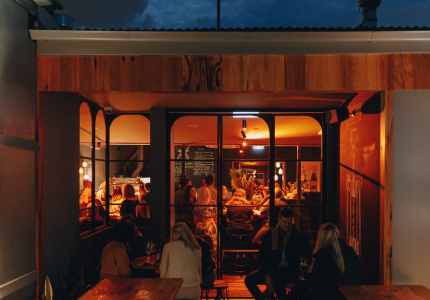 Audience Picks: Benny Burger (burgers by Vue de Monde's Shannon Bennett), Southside Central (extreme burgers from the Melbourne outpost of a Frankston favourite) and Sunshine Social (backyard barbeque in a former petrol station) were three of our most-read restaurant-opening stories of the year. 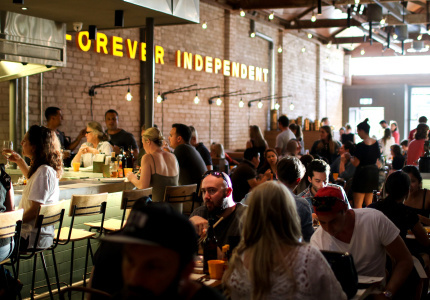 Check out our favourite cafe and bar openings of the year so far.